On Saturday, it’s Khalsa’s biggest game in almost two years as they travel to Cambridgeshire to face Thurlow Nunn League leaders Godmanchester Rovers for what will be the first ever meeting between the two sides in the fourth round of the Buildbase FA Vase. So, what do we know about our last 32 opponents? Well, they’re leading their league, so the boys can play. No question about that. Although they have a point advantage over second placed Histon, they have played three games more. As Brian Clough always said, though, give me the points on the board every day of the week. The most recent result for Ollie Drake’s side was a goalless draw with Norwich United on Saturday and prior to this they beat Ely City 3-1. Khalsa, of course, have history with Ely, beating them in the fifth round in 2016-17 en route to a quarter final where they were eventually knocked out by Coleshill Town. To get to this stage, Goddy Rovers have had to win three games, most recently a 2-0 win over Holbeach United. Khalsa, meanwhile, have had to overcome a whopping five opponents to get to this stage, most recently neighbours Walsall Wood in a 3-1 win at the Aspray Arena. Like all good sides, the competition for goals within the Goddy Rovers line-up is fierce. Both Matt Allan and Jack Chandler have bagged a dozen apiece, hotly followed by Buster Harradine who has ten and Michael Hyam with nine. 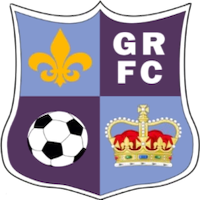 You can find out more about Goddy Rovers at their website. First round qualifying: Coventry Sphinx (a) 2-2, Coventry Sphinx (h) 3-0.